We Believe that Pastors and Ministers have a special calling from God to labor in His Vineyard. 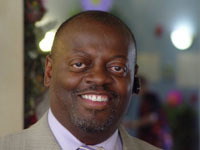 Pastor Ward is founder of Wayside Christian Church. He has a doctorate degree in theology from Andersonville Theological Seminary. He also has masters degree in theology and electrical engineering. His passion is men's ministries and he is a sought after speaker at men's retreat around Southern California. He has authored several theological papers and has written a booklet entitled, "The Calling of A Minister of Christ." Dr. Ward is married to Thressa Ward and has 2 children: Gyllian and Jabril. 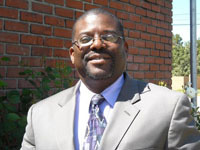 Dr. Ousley came on board in 2006 and serves as the teaching pastor of Wayside Christian. His passion is teaching the word of God using a friendly, interactive, and easy to understand approach. Dr. Ousley has a bachelors degree in Bio-chemical Engineering, a masters degree in business administration, and a doctorate degree in theology. He is married and has 3 children. Mark and Tracy are the Priscilla and Aquila of the church (read Acts 18). They came to the church in April of 2012 with a ministry of outreach in their hearts. Led by the Holy Spirit, they became the founders of Love On Purpose Outreach Ministry (LOP). Their ministry has become the main outreach ministry arm of the church. You can find them on any Wednesday and Friday feeding the homeless and showing God's love throughout the community. They are also founders of the Gospel Cafe, a cafe style entertainment venue for Christians to enjoy music of all sorts. Minister Mark has also been appointed to the chaplaincy of the local community hospital. His musical skills and minister Tracy's love of worship has also place them in the center of the church praise and worship ministry. Together they have also started a food bank at the church. This husband and wife team has been and continue to be a blessing to Wayside Christian Church.